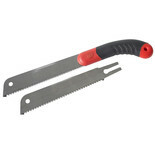 This pull saw has been designed with a quick blade change system and comfortable soft grip handle for improved user comfort. 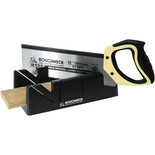 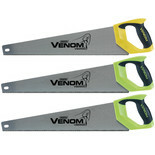 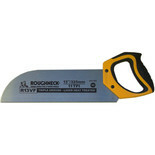 330 mm ( 13” ) Floorboard/Veneer saw with teeth extending onto the blade top, also for cutting Worktop, Melamine and PVC. 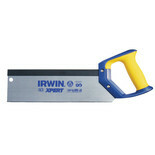 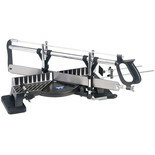 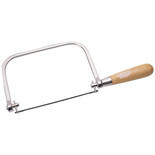 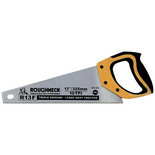 This expert quality saw is chrome plated frame with wooden tensioning handle. 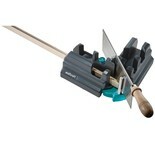 The blade can be turned through 360° for intricate work. 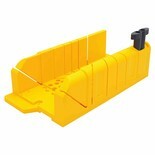 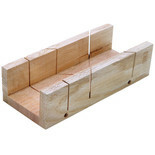 This lightweight and tough ABS plastic mitre box makes cutting the perfect mitre easy and quick.